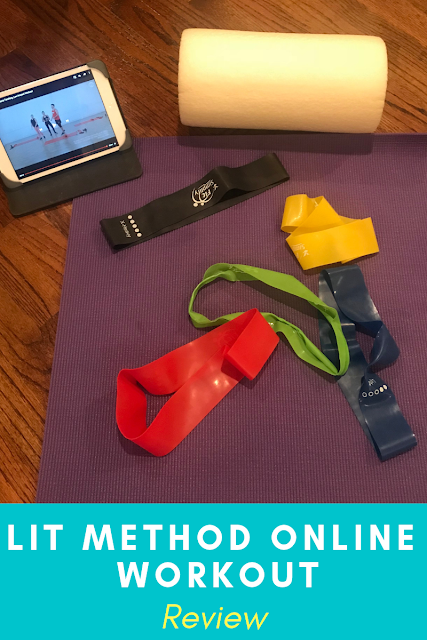 LIT Method's Low-Impact High Intensity Workout Review | Gina Miller's Blog - A working mom's blog about fitness, travel, handbags & beauty. I'm here to help. I love streaming workouts. Whether I'm at the gym and looking for a simple arm routine or need something more substantial when I'm looking to squeeze in exercise at home before work, I'm always on the prowl for effective, creative workouts to add my routine. PRO HACK: If you find a workout you like on YouTube, create a "Workout" playlist. Refer back to these when you're short on time and don't want to spend time searching for something. Want to make it more organized? Simply create playlists for whatever you like: arms, legs, full-body, cardio, yoga, you get it. Here's my YouTube workout playlist. Popsugar usually gets it right. They use outstanding instructors to offer just about every type of workout on the planet on their YouTube channel. They're my first-choice for an online workout to stream. Curious - what is yours? About two months ago, I received a YouTube notification indicating LIT Method's Low-Impact High Intensity workout was available. This immediately intrigued me, as I have been looking for something that doesn't hurt my creaky knees yet delivers a good burn. Friends, this workout from LIT Method founders Justin and Taylor Norris is it. It combines low-impact cardio with toning exercises and body weight work that will have your muscles screaming and heart pumping. I also like it because it only requires some workout bands, a mat and foam roller. All pieces of equipment that are portable and easy to bring to work or with you on a trip. I streamed this on a Monday night after work. Forty-five minutes later, I was spent. The workout begins with a light cardio warmup. You can kick it up a notch but given the fact I ran the day prior this workout, I kept it low-impact. The weighted portion of the workout features a body weight circuit that you perform twice which includes lunges, inchworm pushups, squats with boxing moves, etc. That portion plus the warmup is a full 25 minutes. With about 20 minutes left, the band work begins. You can buy bands anywhere. I use Fit Simplify bands which come with a bag that is so compact it can fit in my makeup bag. The band work features more squats along with those slow-burning, fire hydrant leg lifts and another more of inchworm pushups....with bands. MUSCLES. ON. FIRE. The final 10 minutes focuses on arms and abs. You won't build muscle using bands, it's all about toning. I didn't have the exact bands they use in the workout. It was fine. I modified my exercises and focused more on slow bicep curls and tricep extensions. The final four minutes is all ab work - pretty common exercises you see at the gym. The cool down is excellent because it incorporates a foam roller which has become one of the most important aspects of my workout. I have a plain white foam roller I use at home. I need to buy one of these. The latter is exponentially more effective. My shoulders got the most work during this particular workout thanks to the pushups, shoulder taps and planks. I am writing this more than hour after I finished the workout and they're still burning. My legs also got a solid workout. I highly recommend this routine. It is a great full-body workout that can be done anywhere. If you're looking for a low-impact that still offers the endorphin rush of a high-intensity workout, LIT Method's Low-Impact, High Intensity Workout absolutely delivers. Have a workout you would like to see me review? Tweet me or message me on Facebook.